Join us for a Songwriter Showcase featuring Zach Green, Eric Norman, Justin Evans and Vince Brooks. 8pm – Zach Green is a singer/songwriter from Atlanta, GA that uses his deep vocal tones and emotional lyrics to create his music. Pulling from past, present, and future, Zach's lyrics set a haunting mood . 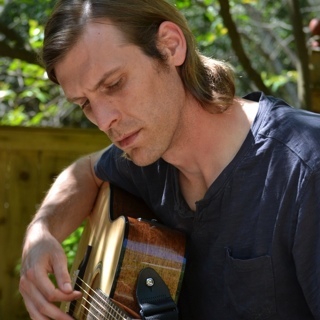 With influences ranging from John Lennon and James Taylor to Pearl Jam and Radiohead, Zach enjoys drawing his listeners into his mystical universe. New to the music scene, Zach hopes to experiment with a lot of different genres and styles. 9pm – Classically trained, Eric Norman’s guitar playing is complex, nuanced and sophisticated – and perfectly matches his piercingly direct songwriting. His playing is often compared to guitar legends that include Ry Cooder, Mark Knofler, and namesake Clapton – though he would likely never say so himself. Eric creates vivid images and tells stories through his songs, and takes us on journeys with him on paths constructed out of absolutely flawless playing. Whether you see Eric as a solo performer with guitar and voice, the leader of his band - Sightless Fish, or on stage with a chamber or full orchestra, you are in for a special treat. 10pm – Justin Evans is a singer / songwriter originally from Indiana, where he played piano for over a decade at churches around the state as well as keyboards for an indie-rock band in Indianapolis. He moved to Atlanta in 2011 to pursue a solo career in music. In addition to songwriting, he works as a freelance portrait photographer and provides live piano music during the week at a nearby department store. His style includes a blend of influences taken from pop, Broadway, gospel, country, and blues music. 11pm – Vince Brooks composes western cowboy music with Mark Twain-esque lyricism. Wildly intelligent and strangely humorous, the music is filled with whimsy and darkness. From running from the sheriff for sleeping with his wife to searching for a shaman (medicine man) in the hills of mexico, there's always a unique story with an odd twist.